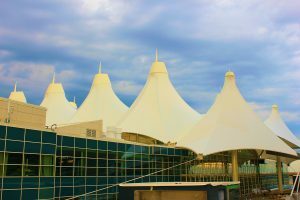 Take away the stress of flying with private airport transportation to and from the Denver airport. You already are worrying about making it to the airport on time, checking your bags, getting through security, and so much more so let Airport Car Service worry about getting you to the airport on time in comfort. Booking private airport limo service transportation with Airport Car Service eliminates the stress of finding a parking spot, dealing with inclement weather, lugging your baggage across the parking lot, possibility of your vehicle getting broken into, and paying a premium for your car to sit in a lot for days. Whether you are headed to the airport for business, taking that long overdue vacation, or returning from a trip, have Airport Car Service in Denver treat you to luxurious airport limo service. We offer exceptional, reliable and professional airport transportation to and from the airport. Our professional chauffeurs will transport you and your guest in comfort and style without the hefty price tag. Let our chauffeurs handle the stress of airport parking and getting you safely to and from the airport so you don’t have to. Enjoy a private ride to or from the airport with one of our luxurious town cars or SUVs. There’s no simpler way to travel than knowing that your ride situation is covered from point A to point B with private airport transportation. Due to airport restrictions, the DIA does not allow drivers to meet their clients at the baggage claim area. Chauffeurs are only allowed up to 10 minutes at the main terminal so we ask that you have your luggage ready before the Ground Transportation calls up your driver. We are only allowed to pick up our clients on level 5, which is the baggage claim level for all airlines. Once you have your baggage, proceed to the limo booth where an attendant will assist you. Give them your full name and have them call up “Airport Car Service”. Your chauffeur will then be dispatched from the airport holding lot to come pick you up. If there is any problem with ground transportation getting your vehicle up to you, you may call our office at 303-904-0742 and we will be able to send your driver up from the holding lot. On airport arrivals, we recommend you call us when you deplane if you have carry on baggage; or if you checked bags, call us when bags start coming off the belts for your flight. This will allow you a shorter wait time when you get to the Limo Ground Transportation booth and ask for your car. If you are needing to book Denver airport car service, contact Airport Car Service or use our online booking service. We are happy to provide you with the best corporate black car service for all your travels. Please provide us with the flight information, before the passenger gets on the plane. We will need to give this ground transportation or they will not be able to dispatch the chauffeur up to the terminal. Call us today to book a private airport limo ride for your next trip.